The perfect solution for space problems. The compact size makes it possible to practice at home or in your 1,5 m² rehearsal room. Includes DVD "HOW TO... Setup your drumkit!" 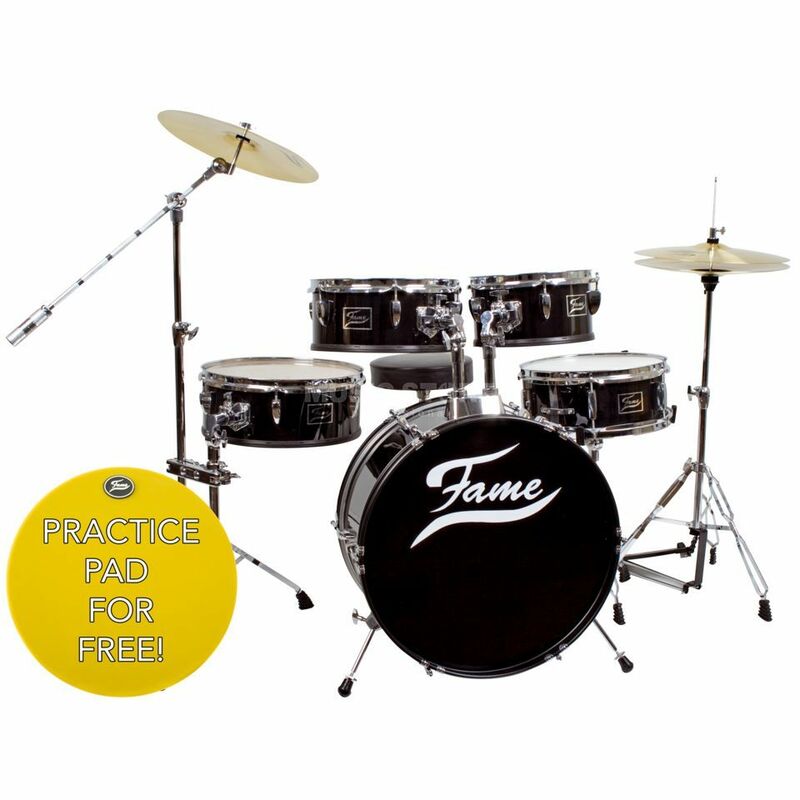 Size tom 1: 10" x 4.5"
Size tom 2: 12" x 4,5"
Size tom 3: 14" x 4,5"
Snare size: 13" x 5"
Size bassdrum: 20" x 10"
Very nice practice set in good price... with suite cases go any were...!!! Nice snare drum 13X5.. and nice kick... buy free...!!! !